Hindenburg Field Recorder is made with radio production in mind. It will work equally well for anyone conducting interviews for podcasts or research. Simply begin recording whenever a story occurs. Set markers at points of interest in the interview. Markers make it easier to navigate large interviews. Finding those good soundbites can otherwise be a tedious job. 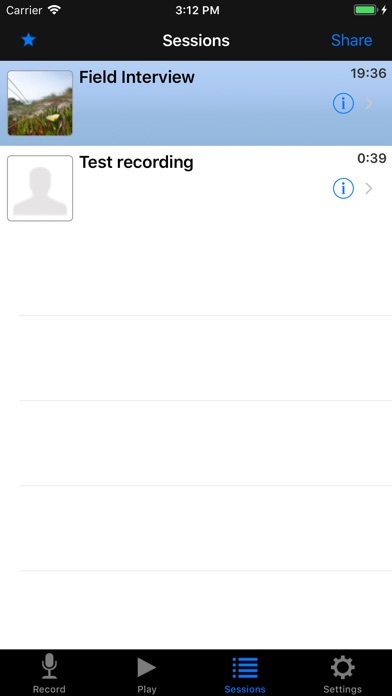 Add additional recordings to your session. This could be speaks or background sounds and more. 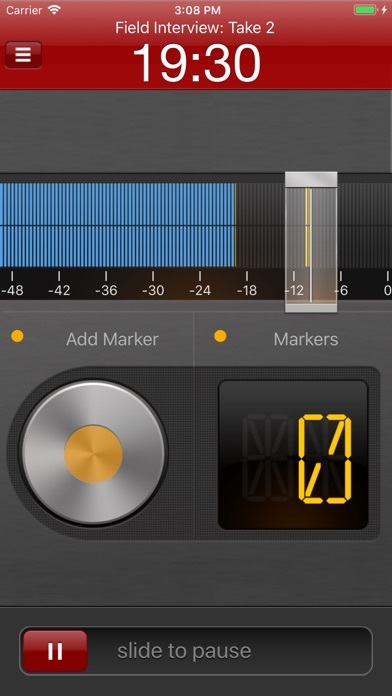 Hindenburg Field Recorder has all the editing features needed for creating a radio interview. The interface is kept simple and uncluttered. But there is more to it than meets the eye. * Non-destructive editing with full undo/redo. * Add jingles or sound bites from the favorites clipboard. 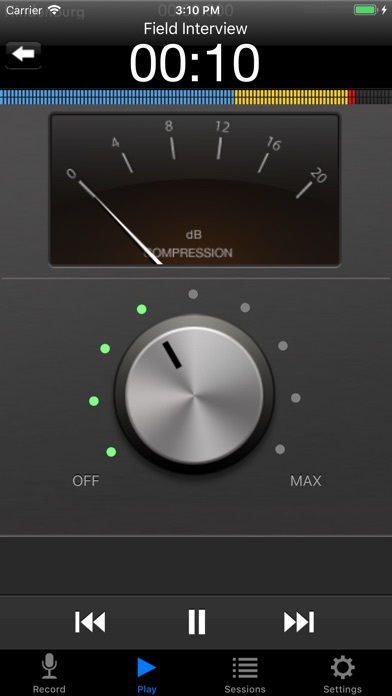 * Use the built in compressor/limiter to increase overall volume. To find out more check the support URL where you will find a download link to the the PDF guide. There are five ways of getting your interviews out of the device. Records audio as 16 or 24-bit / 44.1 or 48kHz PCM. Stereo recording supported with suitable accessories. 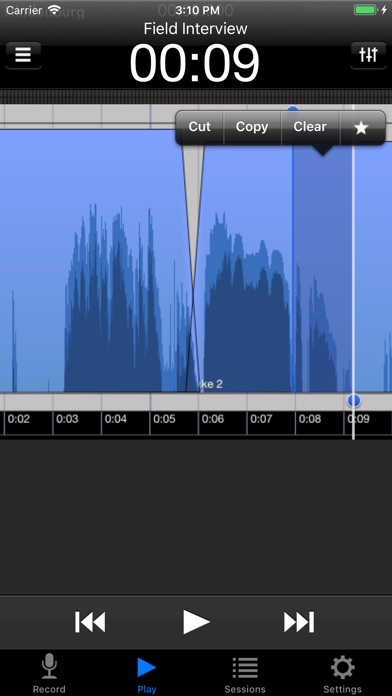 Option to monitor with headphones while recording. 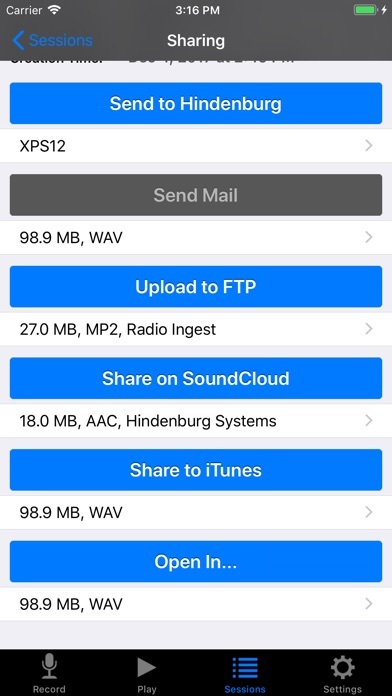 Share audio as WAV, AAC, MP2 or ALAC with adjustable compression parameters. 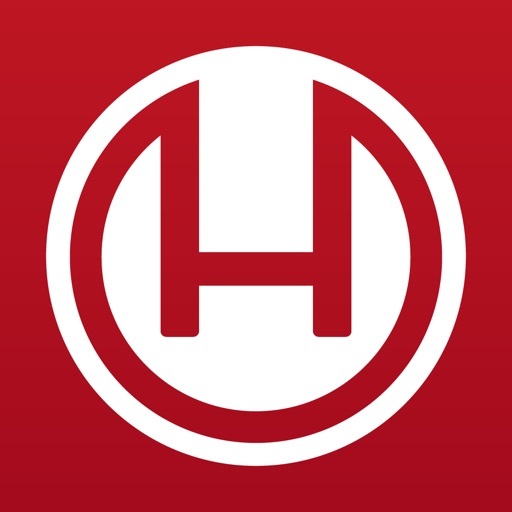 Hindenburg Radio Tools are developed and tested in a collaborations with radio professionals.